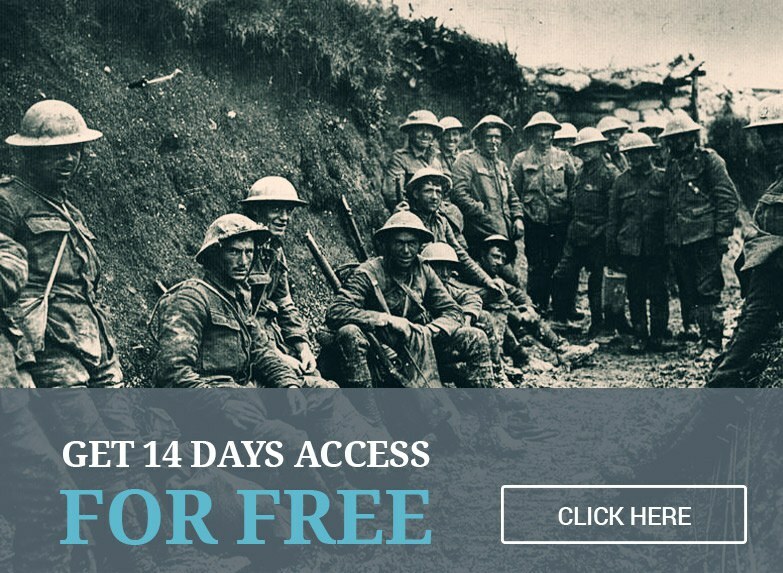 World War 1 featured an extraordinary number of 'supernatural' encounters. 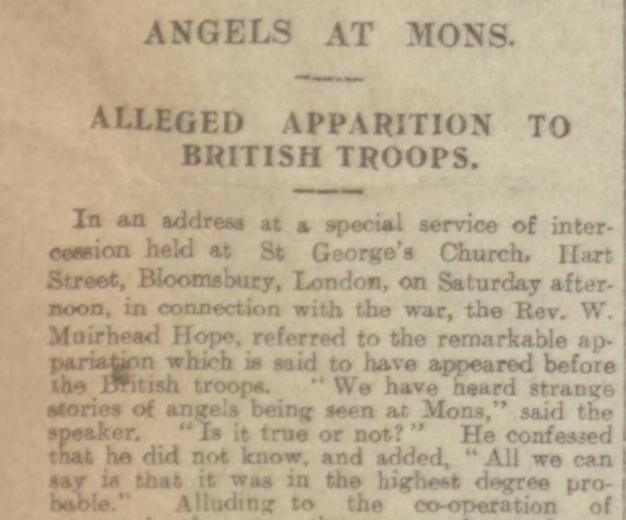 This Halloween, we're revisiting the 'Angels of Mons', recorded visits by dead personnel to entire companies, and lifesaving apparitions recorded by Canadian soldiers. One of the most famous ghost stories concerns the British retreat from Mons. Heavily outnumbered by the Germans, and suffering an unsustainable casualty rate, British units were forced to retreat on the 24th August. However, during this retreat, a rather remarkable thing is alleged to have happened. Some soldiers claimed that a ghostly host descended, and blocked the Germans from advancing, covering the retreat of the British. Tired soldiers hallucinating the intervention of a supernatural force? Possibly. But what is remarkable about this story is how embedded it became within the psyche of the common Tommy, due to the press speculation about the event and how much it varied when retold. In some accounts, the intervening force was just a spectral cloud, in others the ghostly figures of St George and mounted knights, or bowmen. 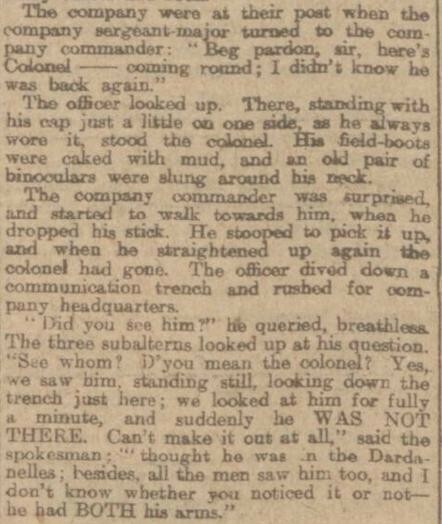 In one spooky incident during the war, an entire company shared a sighting of their former commanding officer. Having been wounded in an earlier engagement, when a grenade blast caused him to lose an arm, the Colonel had been evacuated from the battlefield but died before he could reach a field hospital. "One night while carrying bombs, I had occasion to take cover when about twenty yards off I saw you looking towards me as plain as life." Dumbstruck, he "crawled nearly to the place where your vision appeared" as a German shell slammed into the place he had just left behind. "Had it not been for you, I certainly would have been reported 'missing,'" the soldier wrote. "You'll turn up again, won't you, mother, next time a shell is coming?" Cook also uncovered another account, of another Canadian soldier saved by his brother. 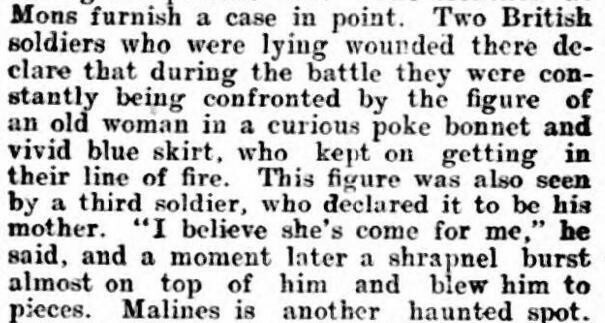 "Wiping away sleep, he looked with amazement at his brother Steve," who had been reported missing in action in 1915. "Steve led him through some ruins, when he suddenly rounded a corner and disappeared." Settling for sleep in the new location, he dismissed his brother's ghostly appearance as a "hallucination." But in the morning, he was stunned to learn that the two other soldiers under the tarp had suffered a "direct hit from a high explosive shell" and were "dismembered beyond all recognition."